NASCAR is moving many of its races closer to prime time in 2017. The sanctioning body released its broadcast schedule six months earlier than normal Wednesday, and it was notable for many races going to a later start time next season. There will be just two races that start at 1 p.m. Eastern all year, down from 10 such races in 2016. The 1 p.m. ET slot was when NASCAR dropped the green flag for years on Sunday afternoons, but races have crept toward prime time in search of a larger audience. In 2017, even the Daytona 500 will start slightly later — 2 p.m. ET — and is one of 17 races across NASCAR’s national series that move to later starts next year, NASCAR said. Several of the traditional 1 p.m. races will now move to 3 p.m. ET. 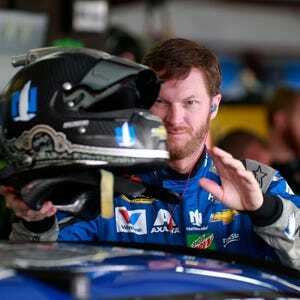 Who are the top NASCAR drivers in merchandise sales? The announcement was part of a wider push to help the industry and fans plan further in advance. In addition, NASCAR said the 2018 Daytona 500 will be on Feb. 18 — a week earlier than it has been in recent years.